Buff Turkeys are named for their buff-colored plumage, unsurprisingly. Buff Turkeys were accepted into the Standard of Perfection by the American Poultry Association in 1874, but had died out entirely by the early 20th century. This was partly due to the difficulty in selectively breeding the proper color pattern, and also to the rise of new commercial breeds on the market. In the 1940s, interest in a buff turkey was revived, and a new strain of the breed, named the New Jersey Buff Turkey was created. 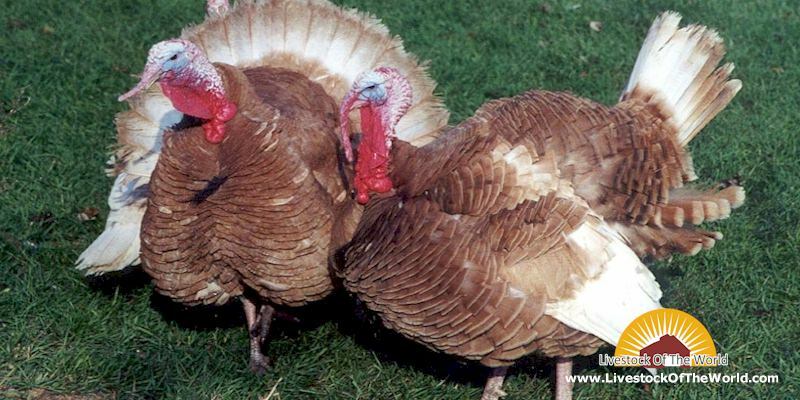 However, the new Buff Turkey wasn’t very successful either and today they are critically endangered.